Roma Termini: Rome's main railway station. Termini station is the main entry point into the city. It's large, noisy and can be overwhelming. Here's how to deal with it. Arriving in, or leaving from, the centre of Rome (Italian Roma) via Ciampino or Fiumicino airport by public transport - whether train or coach - your entry point will be Termini station (stazione). It's the main railway station in Italy's capital city so, as you might imagine, it's always mega-busy - some would say chaotic! Once you're used to it, it's all very easily navigated. But if it's your first time it can be quite overwhelming. This article is designed to help you create order of its apparent disorder and become confident in your approach, whether you're arriving, departing, just passing through or planning to stay nearby. We'll deal with three separate issues: before you travel - planning to stay near Termini; arriving at the station and leaving from the station. 1. 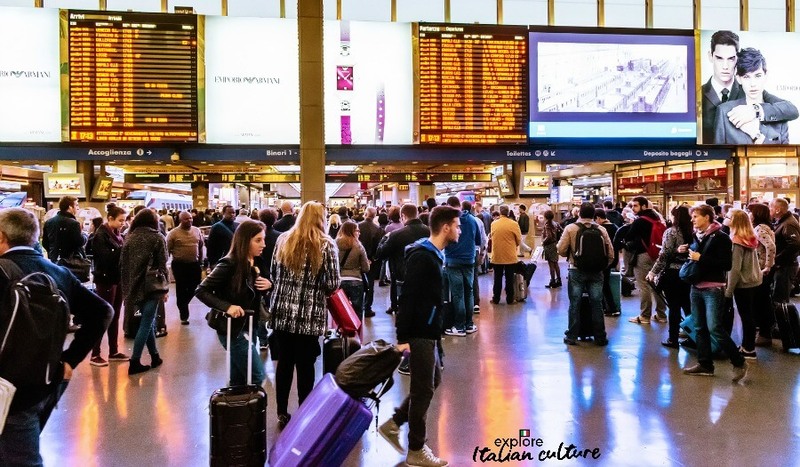 Planning your stay: where exactly is Roma Termini station? 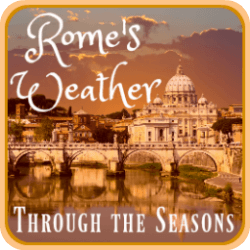 50 - 60 minutes to St Peter's Basilica and the Vatican Museums. Trying to get your bearings? Take a look at this interactive map - feel free to drag it about! Is the area around the station safe? "I've stayed at different hotels in this area overnight by myself on several occasions before a flight the following day, and never felt unsafe. 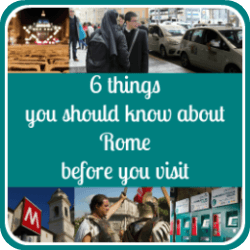 And that includes going out for meals, walking down into the old part of the city, walking around Termini itself and using public transport". Like many city railway stations, the area around Termini has a bit of a reputation for being on the "seedy" side. It's largely undeserved, although obviously wherever you are in any big city there are unwritten "rules" you need to observe. Choosing a hotel near Roma Termini. The Termini area is chock-full of hotels of all shapes and sizes. Because it's not in the centre of Rome, prices here tend to be somewhat cheaper than elsewhere - but be careful of the quality. Some are excellent, some less so. You'll also need to balance the fact that you either have to spend time walking, or spend money on transport, to some of the "must-see" sights. That can add substantially to your bill. On the other hand, it's very convenient to stay here if you're arriving or leaving early. Our hotel recommendation for the Termini area. 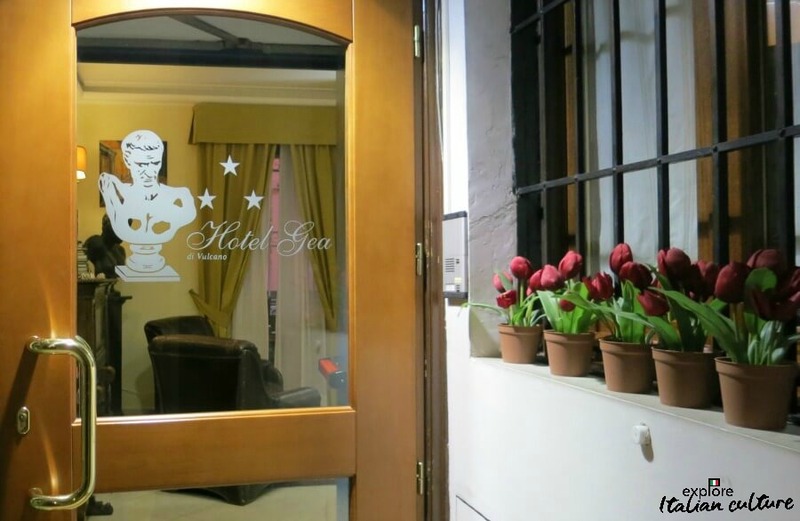 The front door of Hotel Gea: a relatively inexpensive hotel ten minutes' walk from Roma Termini. We've tried a few hotels in this area over the years, and the hotel we'd recommend if you'd like to stay close, but not too close, to Termini, is the Hotel Gea del Volcano. It's a ten minute walk from Termini, past the awe-inspiring Piazza della Reppublicca, in a quiet spot off the buzzy Via Nazionale (and very close to a McDonald's, if your family's desperate for some fast food!). We've stayed there to check it out. For our full review, see this page. 2. Arriving at the station: how to avoid the scams. 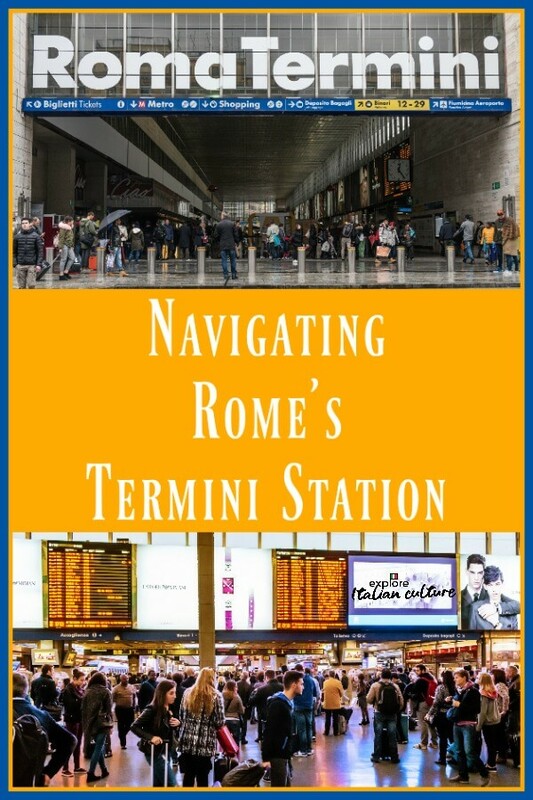 So you've done your planning, you've travelled into Rome and you've arrived at Roma Termini. First and foremost, make sure you look as though you know what you're doing - even if you don't. The people who hang around Termini looking to make a quick buck (or Euro!) know exactly who to target: anyone who looks bewildered, lost or unsure. Anyone who is obviously a tourist. Walk with a purpose towards the large concourse. If necessary, stand and look at one of the arrivals boards until you get your bearings. Termini's large concourse. Walk towards it as if you know what you're doing, until you get your bearings. And if anyone approaches you, trying to sell something or "help" you with luggage or directions, tell them firmly "no, grazie" - or say nothing - and ignore them. They'll soon get tired when they know you're not prepared to hand over a "tip". Is there a left luggage area? Termini doesn't have lockers. If you need to leave your luggage in the station, head towards the very end of the concourse (towards platform 23 / 24) and down the stairs. 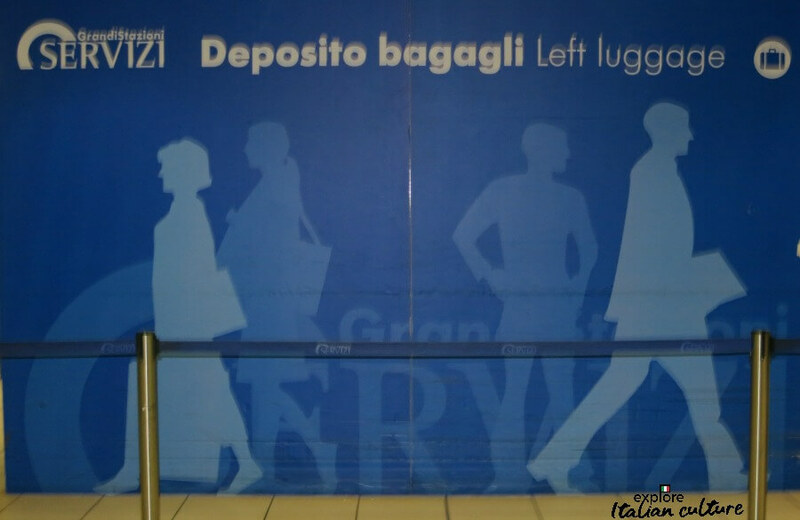 Look for signs saying "Deposito bagagli" (left luggage). It's open from 6am until 11pm every day. Termini station's left luggage department can be a little on the slow side. Allow plenty of time for reclaiming your bags. Be aware: like many things in Italy, this service can be a little chaotic. If you leave bags there and have a train or plane to catch later, allow plenty of time to collect them. To be safe, at least 90 minutes before your train or coach is due to leave. There are two sets of toilets ("servizi") in Termini - one at either end of the station, on the lower ground floor. Head towards either platform 1 or 23 / 24 and take the escalator down. They're open between 6am and 11pm. Be aware, though, that it will cost you €1. You may think that's unfair, but the restrooms are staffed and kept a lot cleaner than they would be otherwise. Fact: Italians love to shop. 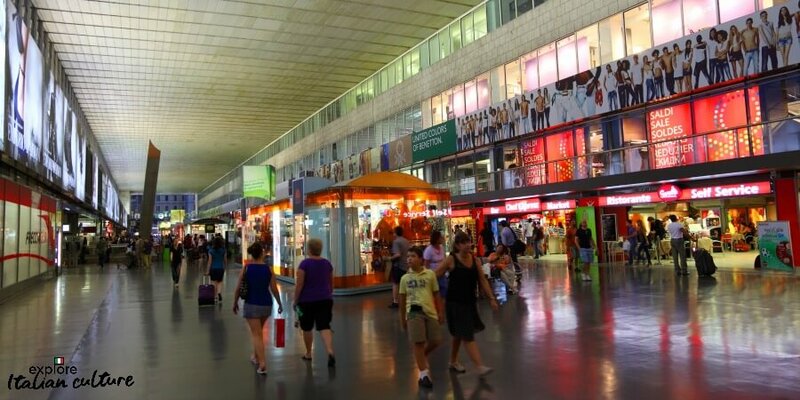 If you have a few extra minutes before your train's due to leave, you might like to browse the many, many stores within Termini station. It's actually one of the best shopping malls in Rome. They range from clothes (Calvin Klein on the ground floor - for browsing - and Spanish brand Desigual on the lower ground - for buying - are Cath's favourites) to toys, jewellery, books and newspapers (you'll get international media in Hudson News in the main concourse) and, naturally, places to eat. Have a few minutes before your train? Shop, book and eat at Termini's large, two storey mall! You'll also find offices of all the major car rental agencies - although we'd strongly advise against driving in Rome. Safer to rent a car from one of the airports which are on the ring road, outside the city centre. If you want to buy reasonably priced food to take back to your hotel or apartment, there's a large Co-op supermarket which covers both ground and lower ground floors. It's full of both packaged and fresh produce - its fruit section is particularly good. It's open from 7.30am to 9.30pm every day, including Sundays. The Rome Metro runs from in side the station. Look out for the red "M" signs. Taxis in Rome are a law unto themselves. Find plenty of them in the stand immediately outside the front entrance of Termini station. For information about how some Rome taxi drivers take tourists for a ride - and not in a good way - take a look at our tips, here. Buses and trams also leave from the front of Termini. Again, exit by the doors at the front of the complex, walk across the front of the square in front of you and you'll see the ranks of public transport. They're a great way to get around the city, particularly if you're visiting or staying on the outskirts. 3. Leaving from the station: getting tickets (biglietti). 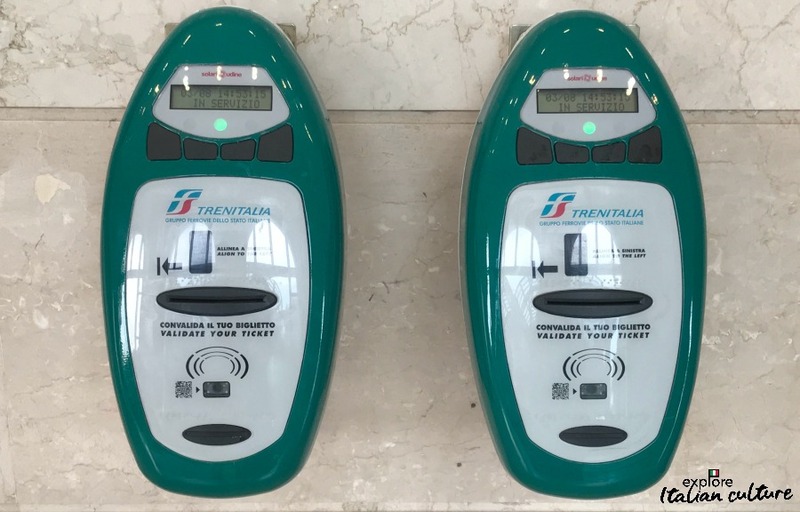 If you're leaving Rome, whether you're going to the airports or another destination in Italy, and it's your first time using Termini, you're in for a treat. People who look as though they're confused by the ticket-buying process are prime targets for scammers. Read more about how, here. 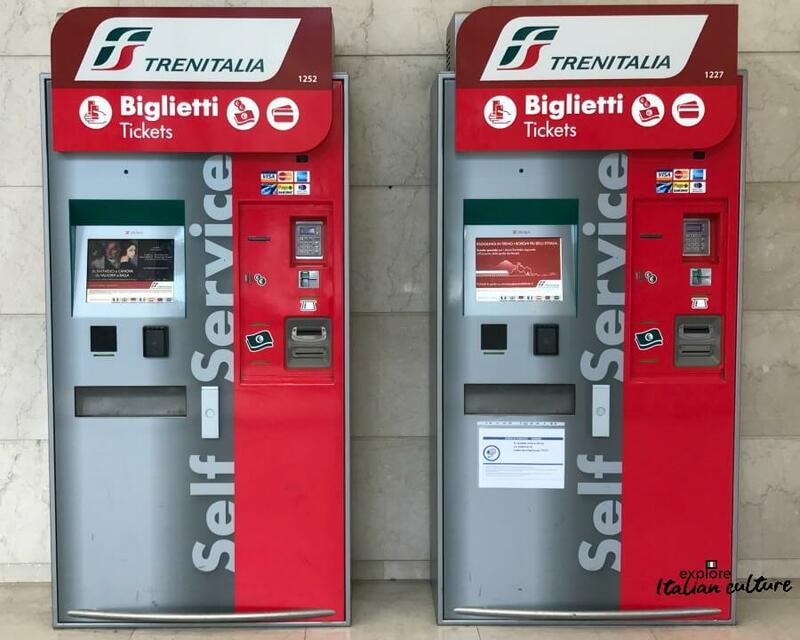 You have three choices when buying a train ticket: buy online before you travel; buy from a ticket office at the station; or buy from a machine. The first two are generally pretty trouble free. Buying from a machine is, too, as long as you take your time and don't panic. Firstly and most importantly, if you're approached by someone at the machine offering to "help", bear in mind that they will ask for money - usually somewhere between €5 and €10. And you really don't need any help. Take your time. It's no more complicated than buying a ticket at your home railway station. They have a choice of languages, so just make sure you choose your own, and follow the step-by-step instructions on screen. Pay with either cash or card. They accept international Visa, American Express and Mastercard. Like railway stations the world over, Roma Termini has arrival and departure boards. Theirs are just a little bigger than most... Find them on the concourse. Make sure, if you buy tickets from the ticket office, that you stamp them at the machines you'll see at the beginning of every platform. Not doing so will incur a fine if an inspector boards your train - and you'll discover that being a tourist is not regarded as an excuse. 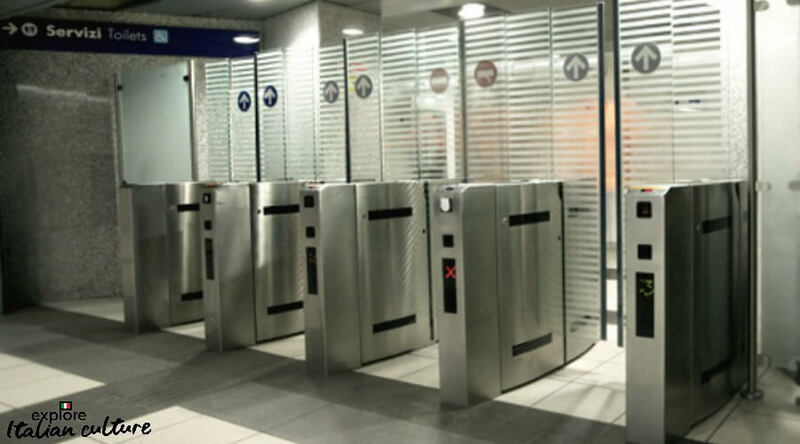 Always validate your ticket in these machines before you travel. Tickets bought online do not need validation. Validating is not necessary with tickets bought online. For information about how to read the departures and arrivals boards and more very detailed information about travelling by train in Italy generally, see our article at this link. Buon viaggio - have a good trip! Other articles you may find helpful - click the pic.